Gleneagle Arlington Real Estate | See Gleneagle Properties! View Gleneagle Arlington homes for sale below. And, you can see details of Gleneagle properties with their property features when you click on the home for sale. Listings show all price ranges of homes in Gleneagle. Builders developed Gleneagle as a 1,037-unit neighborhood and HOA built in and around the Gleneagle Golf Course. The largest planned development in Arlington was primarily built from 1987 through 2002. Gleneagle consists of single-family homes and townhouses. 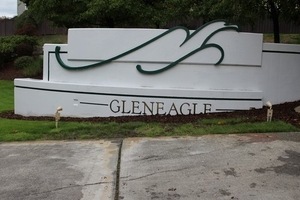 Approximately 30% of Arlington's population live in Gleneagle. In addition, you can search for other available homes in Arlington by clicking on Arlington ﻿Homes for Sale.